Priceless Views unlike any other on all of North Americas West Coast. Larry French from the Baja Real Estate Group takes us on an open house tour of unit 802 Punta Marena in the luxurious privacy of Club Marena. The Most Spectacular Residence on Baja’s Gold Coast!!! There is nothing else that can compare to Club Marena’s “Punta Marena” wrap around corner condominiums with nearly 4000sqft of refined luxury with views from everywhere. Each of the 3 bedrooms is oceanfront with a private terrace. Watch the sun rise on Bahia Descanso and set on the open Pacific Ocean every day. There is nothing else that can compare. The developers of Club Marena have always created the finest residences in the area and the resort stands alone as the most spectacular & exclusive that Baja has to offer. If you are looking for true luxury in a location that has drawn some of the most successful people in the world then you have found it in the crowning glory of these very exclusive units. There are only a dozen like these and very few come for resale. This property takes it one step further as the interior was designed by a famous Los Angeles architect. The pictures tell the story of this modern masterpiece. Book an appointment to experience this property today. Browse here for more Baja Real Estate, Rosarito Real Estate and Mexico Real Estate. Real estate agents know the market, was trained to assist clients in selling and buying homes and know the procedures you need to follow. You will be a fool not to use their expertise. Negotiating is part of an agent’s job description and they know how to make a case for their clients. There skills ensure that you, the client, get the best deal. The endless paper work can be time-consuming not to mention daunting. Agents are trained to handle all paper work and assist you throughout the process. They also know the legal aspects of a contract. This saves you a lot of time to concentrate on the more important things. Agents have knowledge of the market and will help you establish how much home you can afford as well as how much to sell you property for. Here you can once again trust their experience to guide you when making a decision. Agents can answer all your questions regarding the neighborhood you want to buy in, the quality of the schools, the noise levels, traffic etc. They also know the prices that homes in the area sell for. If you decide on a DIY sale, be prepared to cover the advertising cost. When you work with an agent you are not only relying on their name to advertise your property but you are also using all their resources including For Sale/On Show banners and listings in newspapers and on the Internet. It has been proven that when you use an agent you will sell you home faster – and we all know that time is money in this industry. Having an agent around when you view a property means that you will always have an objective opinion. Agents see things differently and can help you identify the strengths and weaknesses of a property. They also know exactly what to look for. Agents know the best lenders, home inspectors and other references that you might need when you buy or sell a house. Agents have loads of information like how long a property has been on the market, the neighborhood and school system, the home’s best features etc. This can come in handy when you have difficulty choosing between different properties. Considering the scenic landscape that Northern Baja California offers, you might want to have a look at real estate for sale in Rosarito especially in Palacio Del Mar, Calafia Condos, Las Gaviotas or Club Marena. Browse for Mexico Real Estate, Baja Real Estate, Ensenada Real Estate. Click for more Las Gaviotas Real Estate. Since the early days in Baja, US Citizens have been buying residential Beach Front and Ocean View lots , building their dream Beach House, and for an increasing number, their retirement homes. Many of the older and more stable communities in Playas de Rosarito such as Las Gaviotas , Real Del Mar , San Antonio Del Mar and Mission Viejo and Punta Piedra all started out selling lots, most of which had very good building restrictions in place. These Baja communities have established a reputation as a great place to live or buy a home. Over the last few years, with the increase in demand along the coast, many Americans had given up the idea of building and went with new condo construction. However, once again retirees are looking at their future and they are opting to cash in now for the perfect location and buying a lot while taking advantage of the current pricing advantage here in Baja. In the 3 to 5 years as the real estate markets return to normal these lucky buyers will already have their future in place at today’s favorable prices. Currently to build a home in Baja would cost on average 45.00 to 70.00 per square foot for quality construction. Timing is typically between six and nine months from start to finish. Octavio Serrano of OCA a well known architect says that while the idea of building can be scary for many Americans, that the over all cost savings far out ways any head aches the client my have. And in the end they all say they would do it all over again. Permitting is much like the US where you first need to obtain an official topographic drawing, a building permit and then finally a completed work report. All of these can be handled by your architect. Working with a good architect who is not only reputable, but also has Vision beyond what a clients needs are for today is KEY says Kathy Katz, owner of Baja Real Estate Group . Katz says that in many of these communities such as Las Gaviotas which started out offering lots Americans built there dream homes over the years, and when they came up for re-sale she always knew which ones would re sale the fastest strictly due to the architecture styling, she adds that you can change the color of the walls and tile, but the architecture stays with the home for ever. Just recently she has seen an increase in quality lots coming on to the market, where in the past they were either not available, or cost prohibitive. For example a 2200 sq ft lot in Real Del Mar a Golf Course Community that once sold for 75-80 thousand, is listed today for $43,000. An ocean front 7500 sq ft lot in Punta Piedra a gated community is now available for $450,000, where once prices for the same size lot were approaching 1 million. Can you imagine having your own lap pool with the waves crashing at you front door says Katz. In this market buyers are not only looking at cost of living and a life style, but they are looking at the values in the market, making this a time to act. 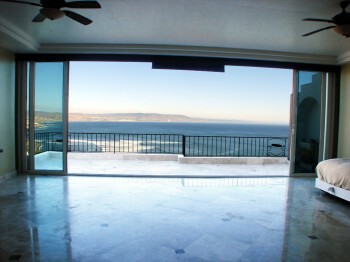 Browse for Mexico Real Estate, Baja Real Estate, Rosarito Real Estate and Ensenada real estate. 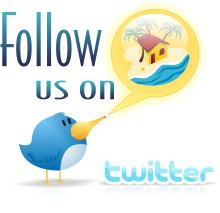 Click here for more Las Gaviotas Real Estate. In 1989 the partners of the Club Marena Development decided to take beautiful strip of the Baja coast in a well know cove, south of Rosarito, to create some of the most premium Baja Real Estate that the area had ever seen. The land was originally owned by the Cota family and was a popular camping spot from as far back as the 1940’s. Surfers from around the world would set up camp to sample the smooth pealing point waves. Surfing Legends the likes of Skip Fry, Corky Carrol and Jerry Lopez would dawn the point for pleasure and even a few completions. Marena’s decision to transform this idyllic piece of Baja into the Coast’s first true luxury development turned out to me a monumental one. Twenty-Seven luxury villas & one custom home-site were planned, for phase one, of what would become one of the coasts most successful residential resorts. An impressive clubhouse, a spectacular spa and an infinity edge pool were all part of the plan. Each villa would have an idyllic layout for a seaside retreat. Drive into a private, two car garage with complete laundry facilities. Pull in and park in safety and comfort. 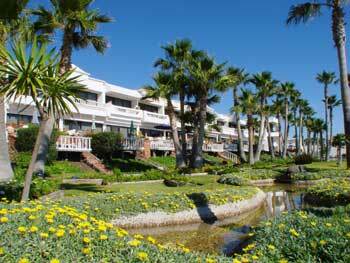 Walk into a lush, well appointed personal courtyard and feel the Mediterranean essence of this Riviera style resort. The courtyards offer a special space for private puttering in your own garden. It is the perfect place for a private hot tub, koi pond or outdoor kitchen. Some of the villas have a casita with a third bedroom bordering the courtyard. The charm of the architecture and the well planned layout of this location are exceptional and were unprecedented, at the time, in this sleepy village in the area south of Rosarito know as Bahia Descanso, “restful bay”. This area represented the premium Rosarito Real Estate and a unique geography on this section of the coast at the time of construction. People who know the area are very cognizant of the unique micro-climate in this locality. Southern orientation with coastal hills keep the winds side shore, the weather patterns a little sunnier and the area more temperate than just 15 minutes up the coast. The oceanfront master suite represents the dream we all have in coastal sleeping comfort. The sounds of the waves pour past the private balcony and into the spacious sleeping space accented with the warmth of a cozy fireplace. The open floor plan of the lower level provides a spacious living space with great accommodations for home entertainment and adorned with another fireplace. A well designed kitchen opens up to the dining and living area. Walk though the space and onto the brick patio and your private wood sundeck. Outdoor living space is what the villas bring better than any condo and most homes in the area. This is what makes life in a Club Marena villa so special. By 1992 this first phase of what would become one of the coasts most coveted developments would be completed. 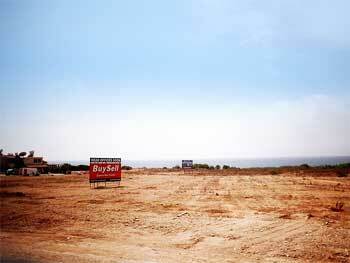 Villas Marena, as it was know back then, launched a new era of development on Baja’s Gold Coast. Baja had not yet scene this Riviera style of luxury architecture and planning combined with stylish oceanfront amenities. Many phases of development have followed and additional amenities have been added. However the unique character of the villas makes then one of the most desirable acquisitions in Rosarito real estate. Browse for Club Marena Listings. Larry French is an Executive Sales Agent with Baja Real Estate Group with 10 years experience with web based and multimedia marketing. incorporated in Mexico for Real Estate and investment business for over 6 years. Active investor in Northern Baja with very successful portfolio. Certified member of AMPI/NAR Full-time resident of the Northern Baja area with visa and work permits.